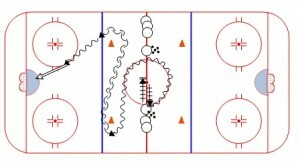 The Overspeed Agility Drill brings in many different skating elements! I’ve mentioned before that technical skating drills can be boring and monotonous for many youngsters. 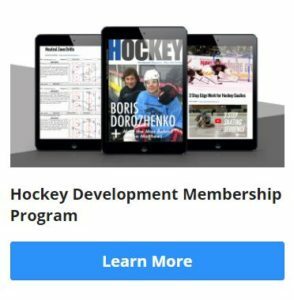 The problem is that skating ability is SO essential… you HAVE to find ways of developing it! 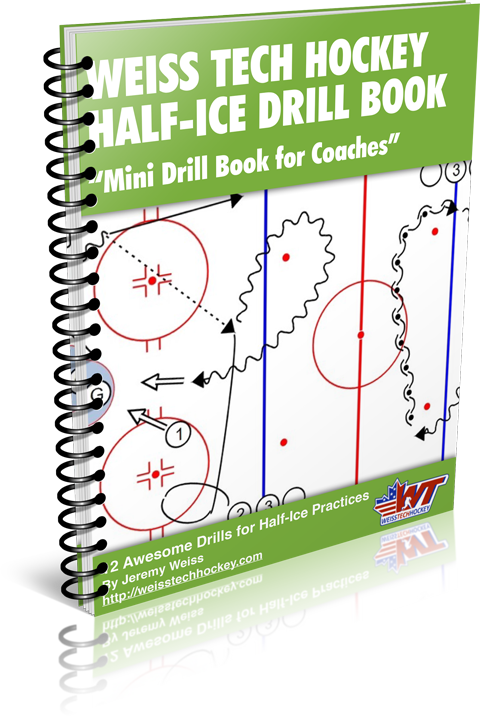 One method I’ve found to work with youngsters––and older players too :)–is to add a shot at the end of a skating drill. This tactic turns it from a skating drill into a shooting drill, and is much more fun and motivating for the players. 2. Player stops at the dot, then sidesteps back to the edge where he/she started and quickly crosses over around the circle (feet moving quickly – focus on overspeed here).